At the mid-point of the session, you have a choice: You can slack off and fizzle out. Or you can push harder. Honestly, this week, I didn’t want to push harder. I struggled to stay focused and committed. It was a challenge to find the energy to get in a run in the cold weather; to take the time to pack a healthy lunch for the next day once the kids were in bed; and even to tug on that sports bra and come to Body Back on Wednesday. But I have yet to ever regret a workout at the end of the hour, and what I took away from Wednesday’s partner workout gave my lagging motivation the boost I sorely needed. As I paired up with different moms on the different exercises, I remembered why I love partner workouts. They are challenging and inspiring at the same time. I like the camaraderie and the competition, and I always work harder knowing that a partner is counting on me. 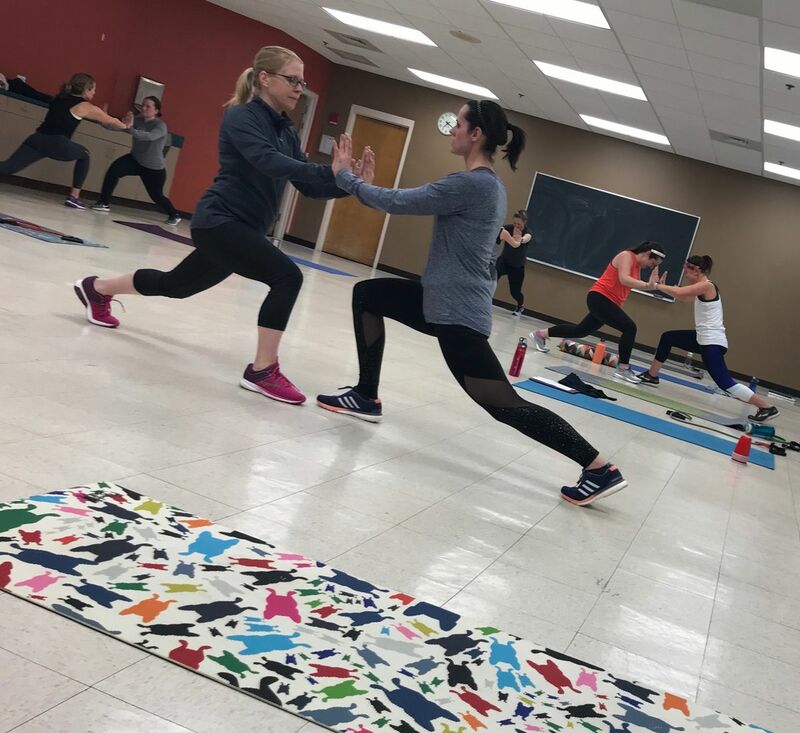 Looking around the room and partnering with new moms, I realized something: The middle stretch of Body Back might be the hardest, but it’s also when results are really starting to show. This week, I see different mamas than the ones who started with me 5 weeks ago. We are stronger. Our clothes are starting to fit differently. We stand taller. Our form on exercises is better and we are bringing it on the cardio intensity. Watching the other moms around me change not only their bodies but also their mindsets and habits is the motivation I need to keep going. This week is another turning point. And I choose to push harder.